Technology has already transformed the conventional taxi business with the introduction of smartphone apps. Over the years, various rideshare companies introduced innovative taxi app features. 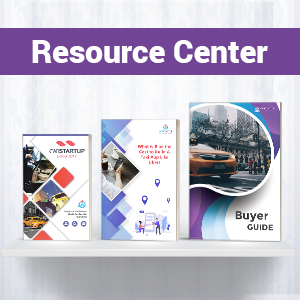 Now, the ride-hailing industry has matured to the extent that one can define a list of must-have features for a company to survive in the fierce battle for supremacy. Moreover, there is no limit to innovation. Any innovative feature facilitating riders would help owners vanquish their rivals. Following is a compilation of features picked by CabStartup analysts which ensure survival. There is a list of innovative features later in the text whose adopters can tilt the competition in their favor. It would be mundane to remind that drivers, passengers, and administrators should have separate panels. Some companies also offer distinct dispatcher panel to add further convenience for managers. 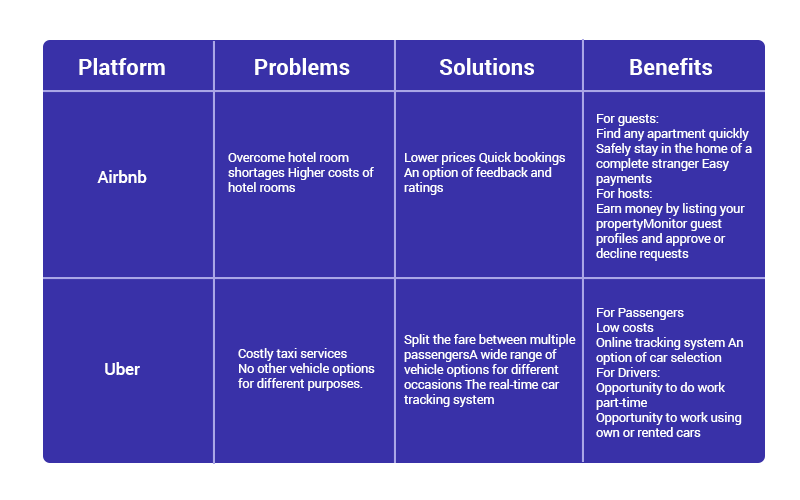 This taxi booking app feature list is a collection of features from each panel. With increasing traffic congestion and road densities per square mile, drivers face hard time to find passenger’s location. This factor causes annoyance among riders and wastes time. Most crucial aspects include distance to the destination and traffic density on various roads. Besides, some systems also take into account the obstacles and quality of roads by observing vehicle speed in low-traffic regions. Using a traditional taxi service, passengers and admins have to rely on the driver’s word of mouth. They do not have the capability to track vehicles in real-time. Consequently, passengers are unable to estimate arrival time. Taxi app must provide the ability to track rides to passengers as well as administrators. App developers can comfortably integrate this feature – thanks to the remarkable efficiency of GPS satellites. There are pre-built APIs which makes the task easier for developers. GPS trackers do not require an internet connection to find one’s own location. This is arguably one of the most important features to manage multiple rides seamlessly. Some taxi owners offer apps to passengers, but their dispatcher panel is not hosted on cloud. A cloud enables companies to manage operations remotely. Using cloud-based approach, the history of past, ongoing, and upcoming rides remains on remotely located servers. The authorized personnel can access this history from anywhere. In contrast, the taxi apps not offering cloud end-up storing data on local servers. The managers in such cases can access data from centralized physical location only. A passenger can view details of driver which is tasked to take the ride. These personal details invoke the sense of security among passengers. Similarly, drivers can also view essential information about passengers. The companies must ensure that sharing of personal information complies with privacy regulations. The administrators do not need to push riders to share particulars every time they request a ride. Cloud-based taxi apps allow saving information of millions of customers and accessing it easily. The information should also include feedbacks and rating visible to the two stakeholders. Moreover, the app should enable both to rate the experience and share feedback. Traditional taxi services relied on POS devices to generate invoices. Later, they also introduced machine to swipe cards for payments. It is unwise to continue the same old practices despite the presence of smartphones. Drivers share digital invoice instead of paper receipt. The passengers and admin can access this digital bill later in case of a payment dispute. Mobile app also enables passengers to pay via other options besides credit card and hard cash. Many developers also offer wallet to top up the balance or pay later. Millennial are aware of radio taxi services which used to book rides through phone calls. The only choice for passengers to connect with drivers was an indirect one through an agent. This communication mechanism deprived passengers of privacy and forced them to go through an unnecessary hassle. Smartphone allows direct and free of charge communication between driver and passenger. An app should offer communication through messaging as well as phone call. A glance at Uber app features list reveals that it offers each of the abovementioned features. However, startups and traditional companies should take few steps ahead of Uber and other giant rideshare companies to outperform thesm. Following three features are proving to be excessively helpful. An app should ensure end-to-end encryption of conversation between driver and passenger. Some service providers weigh down this feature, but it is significant to raise confidence of riders. However, there are cases when riders complain about inappropriate conversation styles. Thus, the record of chat should remain saved in cloud storage for an unlikely retrieval at some point. At times, the passenger or driver may have weak internet signals. This may result in unresponsiveness. Eventually, the passenger may cancel the ride and give negative feedback despite the fact that drivers are unable to help. Therefore, both passengers and drivers should know the signal strength of each other. This ability will prevent them from getting or sharing unintended feedback. Many passengers are regular commuters who travel to single destination every day. For instance, working class books rides for traveling to workplaces. Instead of putting details of destination, the app should provide one-click instant booking option. Though it is not essential for rideshare operations, yet provides considerable relief to individuals sharing same information repeatedly. The cloud-based dispatch solution of CabStartup offers each of these conventional and innovative features. Moreover, the product offers a lot more to taxi companies and aspiring startups. Instead of going into the details of system efficacy, we invite you to start free trial and test the efficiency yourself. Uber, lyft, and DiDi are the popular platforms that has been disrupted the taxi industry. Stats show a 50 percent increase in the number of self-employed drivers in the Uber dominated areas. An income fall of around 10 percent has been seeing in the salaried drivers. Taxi fleets are in a position to move with the new age of mobility. The future is green and climate change has been a hot topic for the last few years. Environmental problems have come at the forefront for customers. The significant part is towards the greener living with recycling and sustainability emerging as the primary concerns for the modern world. Various countries are targeting electric vehicles to promote a pollution free environment. Therefore, electric cars are becoming a trend. Norway leads the way as the highest number of electric vehicles are available there. Nearly half of new car sales in Norway are made up of electric cars, the country is believed to be 5-10 years ahead of the pack. The use of electric cars is on their agenda since the late 1980s. If you think of electrical car manufacturers, Tesla jumps straight to mind. No doubt, the electric car business has been booming for other manufacturers too. Electric taxis are the next step for fleets which are increasing in demand for a green future. A drawback related to the time is the time taken by the cars to fully charge an electric car paired with the relying upon EV charging points and a lot of uncontrollable variables such as demand, maintenance and more. Electric vehicle infrastructure can be a deterrent. However, the spread of EV charging points and advancements in fast charge EV technology will move at a rapid pace. EV manufacturers, ZOE, and Kangoo, are increasing the range of their electric vehicles. It is also introducing new connected services for easier vehicle charging. With the help of smartphones, Users can get charging information or control operations in real-time. Electric cars are a part of the green agenda for many countries. Taxi drivers and company owners can get benefit from plans to incentivize electronic vehicle adoption. It is time to start planning for electric vehicles. The EU proposes the targets of electric car sales by 2040, which needs to take into consideration by the cab companies. In Ireland, taxi drivers are set to get 7,000 euro donation for shifting to electric cars. In the UK; the “Go Electric Taxi” plan rolled out in 2018. In the programme, incentives are offered to drivers on their first electric taxi orders, free charging on trial and zero commission fares in e-taxi app bookings. It is not just happening in Europe. These are already operating in the US whose distinctive apps provide zero emission micro-transit services to highly populated urban areas. As far as this trend is concerned, taxi companies should be thinking about moving ahead as electric vehicle transition will be coming sooner or later. Autonomous vehicles are a reality. Copenhagen’s Metro is automated and self-driven with Hitachi Rail Italy succeeding a contract to supply a few new autonomous trains for the M1/M2 lines by 2020. After a decade from its beginnings as Google’s self-driving car project, waymo is not far from becoming a commercial entity. Members of the public have been traveling in its driverless Chrysler Pacifica minivans for some time. Nissan is preparing to launch its self-driving taxi service in Japan by 2020. Autonomous vehicles are already available, but the question of legislation, safety, and perception remain relevant. A 2017 Pew Research Center report showed that self-driving cars will dominate the roads within the next 50 years. Taxi companies need to understand that self-driving cars and autonomous taxi fleets are inevitable. Airbus is making steady progress, which aims to realize the concept of personal flight, with the aircraft offering a single seat tilt-rotor vehicle. As with autonomous cars, motorized aerial vehicles are coming down the line. 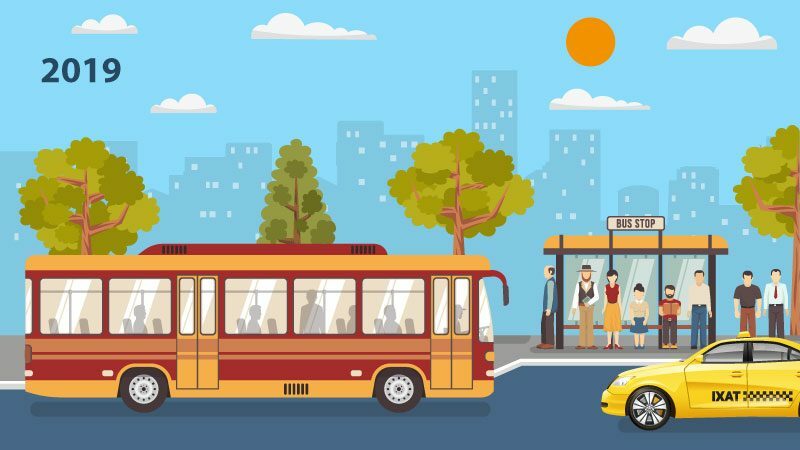 Transportation network companies have taken over the cab industry with Maas (Mobility as a service) becoming a vital outlet. Ride-sharing, taxi apps, and digital systems are part of modern transportation. Grab operates online-to-offline mobile platforms in transportation, food and beverage industry, mobile payments and financial services. It acquires Uber’s southeast Asian assets, placing it as a ride-hailing winner. Toyota and Grab have been in cooperation since August 2017, and the new capital intends to realize MaaS for a more efficient and mobilized society fully. Uber is on the endless march to becoming the Amazon of transportation with cars, trucks autonomous vehicles, bikes and scooters in its publicly available fleet of third-party transit. Ride-sharing taxi apps and third-party transportation services need to embrace the digitally-inspired change that smart technology offers its customers. Many taxi companies are trying to approach the sophisticated technology and developing innovative solutions to compete. We offer white label taxi app solution for a wide variety of transport services. Sign Up today for a white label app solution. It is very frequent for the readers to find companies advertising an Uber clone. Many of them are able to replicate the Uber application successfully to attract rideshare business aspirant. However, the factor which makes Uber and other top taxi apps successful is not the appearance and interfaces of app. Instead, the most notable link in the chain is cloud-based taxi dispatch software. 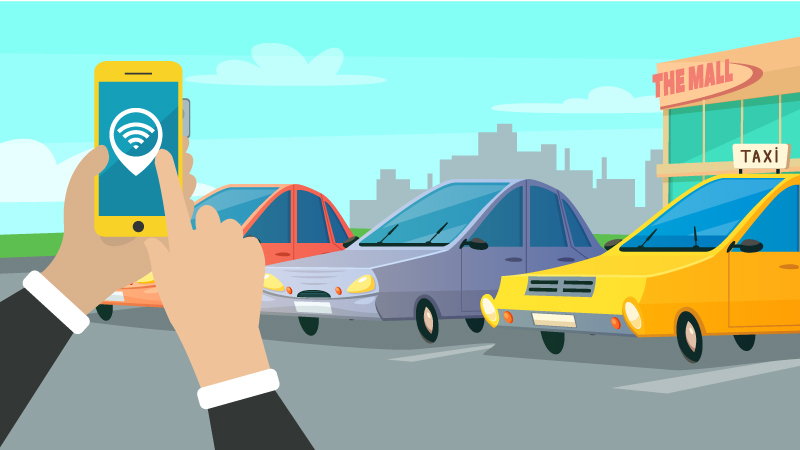 Before diving into the details of cloud-based software, you need to know the shortcomings of taxi app software clone. It is highly probable for taxi company owners to increase the number of vehicles and corresponding drivers with time. However, app script does not provide the ability to scale up. Cloned system runs on a local server. The owner has to renew the hardware to accommodate increasing data. This hardware includes servers for storage and its associated devices. Moreover, they also require an administrator to ensure the smooth running of this system. Taxi company owner is responsible for data security. In case of breach, owner has to pay the penalty. Scripted app lacks the ability to enable the owner to deploy and configure the app and underlying software. Being a taxi business owner, you will have to pay for upgrading and maintenance of app. Consequently, you end up on the mercy of developers who charge your wallet until it dries up. The clone code is strictly scripted to address few needs of the business. If at some point you need to add more features, the script will disallow due to lack of reusability. Thus, the flexibility of code remains a problem with app clone. Incorporating a taxi dispatch system hosted on cloud brings an incredible volume of advantages at your disposal. Cloud-based software also offers mobile app, but the back-end functionality remains entirely different. Following are some of the areas where SaaS solves the problems arising in cloned taxi apps. Breach of any of these attributes results in hefty penalties and lawsuits from regional administrations and app users respectively. The most significant challenge during penalizing the violators is to identifying the responsibility. Taxi owners might end up paying the price for the bugs in app which make the system vulnerable to breaches. The benefit of employing cloud taxi dispatch system is the fact that it provides excessive data security, thereby reducing the fear of violation significantly. In the event of violation, which is extremely rare with cloud platform, a comprehensive disaster recovery system prevents loss. Besides, the cloud system provider is accountable for data security. Thus, taxi business owner does not have to care for securing data. You may not have technical teams who can assist with installing and deploying the system. 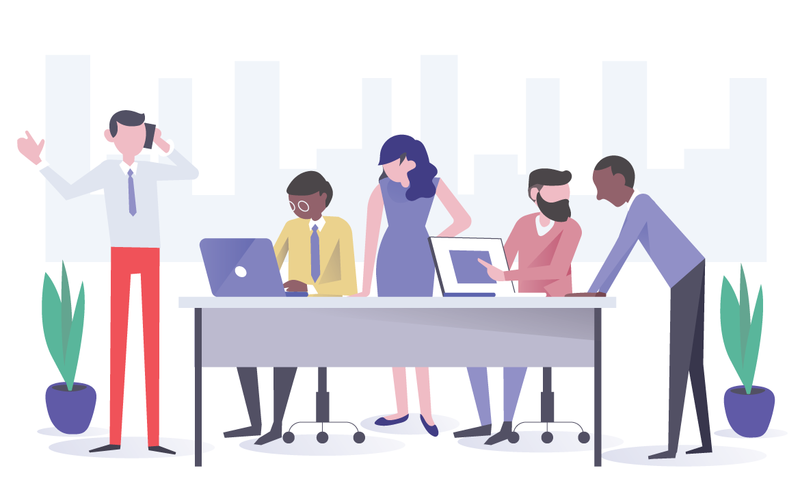 Even the presence of technical employees will not help because they will have to quit their assigned tasks to work on installation and configuration. The developer will not assist if the app gives the signs of a bug. Instead, you will have to hire another developer to fix bugs. Fixing code written by another team is always a hard nut to crack. Thus, the business will soak into delays and hiked costs instead of generating more profits. With cloud-based taxi dispatch system, the cloud service provider is responsible for installing, configuring and maintaining the system. The code remains with the provider who remotely fixes the problems. Therefore, businesses can minimize costs at many levels. Scalability is one of the core attributes of taxi business. The owners intend to expand the operational area and number of vehicles to increase revenues. To scale-up the business based on cloned apps, owners often have to redefine infrastructure with more storage space. Cloud-based taxi dispatch software prevents owners from changing infrastructure. Instead, they request vendor to update their package with as many vehicles as the owners wish. How is Cloud-based Taxi Dispatch Software Overcoming Challenges? Cloud computing and its associated systems are around for over a decade now. In the initial years, the businesses were reluctant to acquire cloud-based services for the following reasons. Here is how a decade of development addressed these problems. Cloud is as good as internet speed because the system is located on remote servers accessible through internet. A decade back, internet speed lacked significantly. However, the arrival of 4G internet and corresponding mobile devices drastically improved the speed of cloud. Verizon is starting 5G internet services in two weeks. The services will expand to most parts of the world before the end of 2019. Thus, the internet speed is now a thing of the past. Users were unaware of effective cloud utilization. Many businesses at the start of the current decade complained about increased costs after incorporating cloud. Cloud provides the ability to pay only as much as one consumes. There are multiple subscription packages which allow owners to acquire the one that best suits their business needs. However, cloud service providers exploited the fact that most customers were unfamiliar with this system. Therefore, they charged the customers big time. Now, a technical understanding of the subject is unnecessary. Anyone can compare and evaluate cloud services. Moreover, cloud is now powered with several automation tools. These tools enable the owners to reduce reliance on large workforce and perform tasks that would otherwise take many employees. Companies and governments barely had any legislation before 2012 for cloud-based services. Fortunately, administrations worked extensively in subsequent years to develop a robust and globally accepted framework. Now, companies can comfortably generate a governance hierarchy to look after cloud affairs. A decade back, the taxi app clone might have worked better. However, it will be highly unwise to purchase clone instead of cloud-based taxi management software. 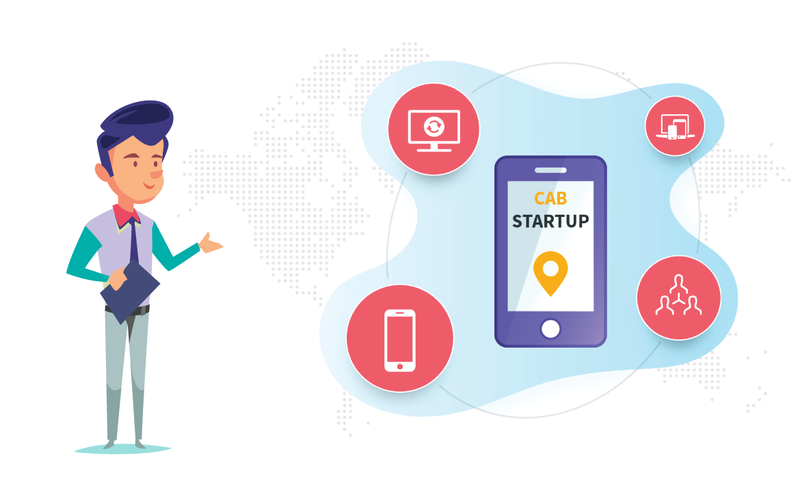 For these reasons, CabStartup offers cloud-based dispatch system to taxi owners with separate apps for passengers and drivers. Grab your free trial right now. Uber confirms acquiring Dubai-based ride-hailing service Careem in a deal worth $3.1 billion, which consists of $1.4 billion in cash and $ 1.7 billion in convertible notes. 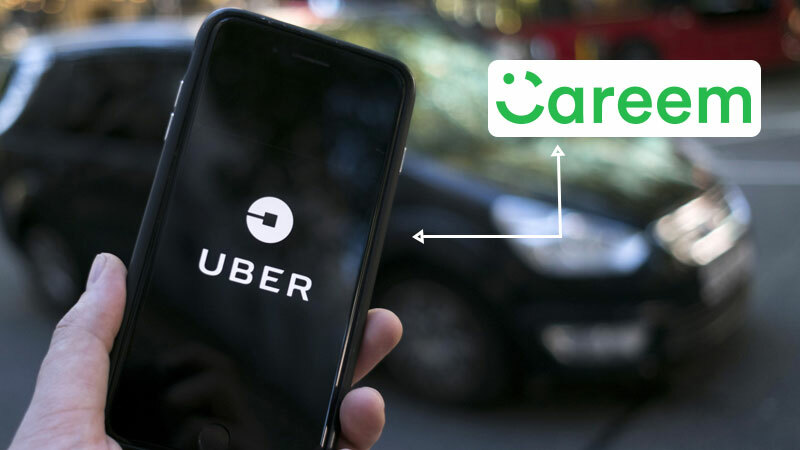 Reports showed that Uber was in advanced talks to buy Careem last month and a deal was soon to be announced. Today, Uber declared buying Careem for $3.1 billion. Dubai-based Careem has almost 30 million registered users across 120 cities in the Middle East, North Africa and South Asia. The $3.1 billion deal solidifies Uber’s presence in the Middle East, Africa, and Asia by acquiring Dubai-based ride-hailing service Careem. With the announcement of buying Careem, Uber is grabbing a foothold in new markets. Careem was founded in Dubai in 2012, which claims more than 30 million users and 1 million drivers across 14 markets. The company has received around $ 770 million since its establishment, including the big name of China’s Didi Chuxing, which previously showed interest in other ride-hailing services such as Lyft and Ola. Careem has been following similar growth model to that of Uber with its core-business of ride-hailing. It is employing transport network infrastructure to expand into related services, which is still in an embryonic stage. However, Uber sees the growth potential in pooling platforms and resources in more than twelve regions that collectively cover around 600 million people. Khosrowshahi said that Careem has played a significant role in shaping the future of urban mobility all over the Middle East, and the combined company will deliver exceptional outcomes for riders, drivers, and cities in this world. Khosrowshahi added that they can operate efficiently, expand to new markets, quickly adopt a remarkable pace of innovation, high capacity vehicles, and payments. Last month, a new $1 billion urban mobility joint venture launched by rivals BMW and Daimler, following the merger of various ride-hailing and car-sharing businesses. Uber has faced increased competition around the world. Didi Chuxing is one of the Uber’s strongholds that was expanding into Mexico last year. Uber expects the Careem acquisition to close in the first quarter of 2020. Uber is also pitching itself as a one-stop shop for transportation and logistics. The firm’s last big acquisition deal was buying U.S. bike-sharing firm Jump. In the past, homegrown giants China and Southeast Asia ate away its ride-hailing dominance, and it became too costly to operate there. Didi Chuxing, a local tech firm bought its China business in 2016 and Grab bought its Southeast Asia operations last year in return for equity sakes in the two rivals. The deal will further strengthen Uber’s presence in the Middle East. On-demand taxi businesses are gaining momentum all over the world as they are providing ease to people in getting a ride using an app. Get in touch for an Uber-like app. When we talk about developing an on-demand delivery app, we often discuss about Uber or Airbnb. Uber and Airbnb have worth billions of dollars. In August 2018, Uber was valued at $72 billion and Airbnb was valued at $29.3 billion. Currently, Uber is functioning in more than 65 countries and over 600 cities. Almost two million people get accommodation through Airbnb. 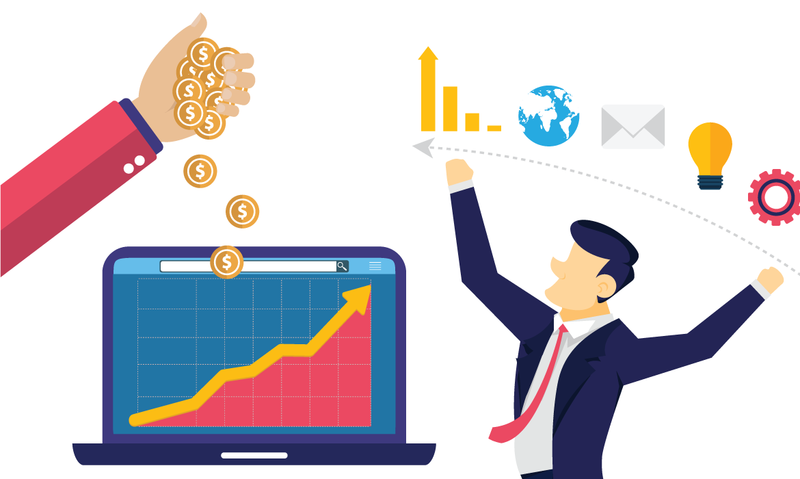 In this article, we will discuss their success and how they attracted people to use their applications. Why do entrepreneurs want to copy them? We will discuss the philosophy of on-demand platform like Uber or Airbnb service app. 1. Customers can request goods and services through the on-demand app. They can track order delivery via GPS and make payments via an app. 2. Drivers can approve or decline requests and can manage their business using the app. 3. Both customers and drivers can rate their experiences. 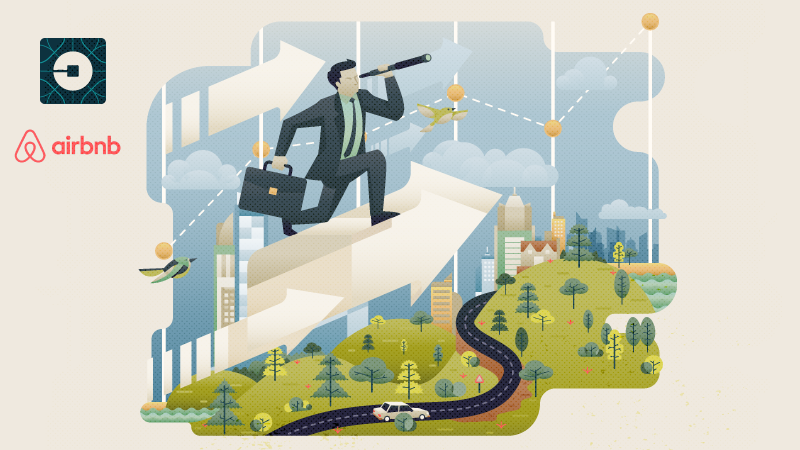 How Uber and Airbnb Became so Successful? Each of these platforms offers remarkable solutions. The key to success is to define market problems and offer true value to address these problems. How to Build an Uber-like Platform? Developing a platform like uber not only involves coding. Only the way of knowing to code is not enough for a successful on-demand delivery app development. There are several things to consider before getting started. Get the demographics of your target audience and the problems they face to find unique solutions to their problems. Keep in mind the user needs for the success of this platform. You can get the idea from the behavioral segmentation, which incorporates users behavior that can be judged from likes, dislikes, follows comments, and shares. Customers can represent their behavior by speaking on different channels. Analyzing the target audience is not enough. To succeed, you need to target user needs and desires through the lifecycle of your platform. Your users’ good experience may take your platform in new directions of success. Before developing a platform, you need to know your target audience and the problems they face. You can explore unique solutions to their problems. By analyzing your target audience, you can fulfill your user’s needs. Airbnb let users find and book accommodation for events. If you have defined your niche and core value, software solution can turn your idea into a reality. You have to find a reliable software development team keeping in mind your business size and location. The design is a milestone in developing a delivery service app. With web apps, users can get benefit from the app functionality. Business owners want to improve the user experience of their customers, which is possible using outclass design and development. The design development process includes creating wireframes, text blocks, and the design itself. We built native Android and iOS apps. These apps have lots of advantages, great user experience, high performance, and intuitive user interfaces. Today, cross-platform applications are becoming popular since they save time and effort. 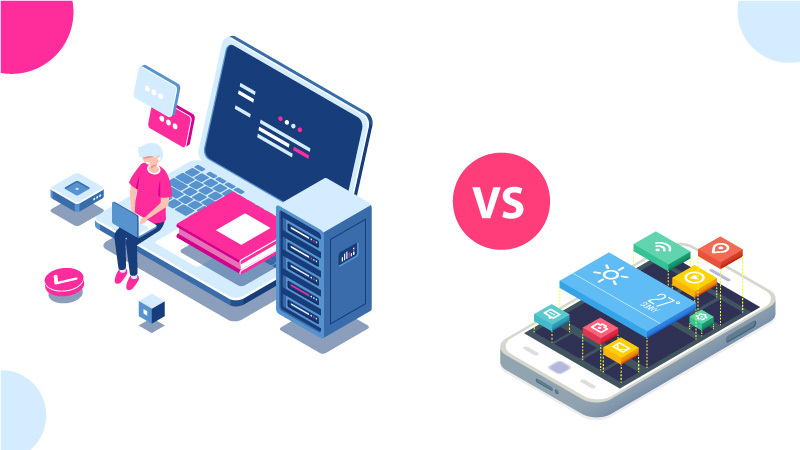 With cross-platform development, almost the complete codebase can be shared across multiple platforms, which reduces cost at a greater extent. There is still some code that won’t work on multiple operating systems. Some cross-platform frameworks don’t support complex animations and platform-specific functionality. Geolocation works perfectly for tracking deliveries or cabs or finding a place by checking the location on the map. GPS implementation varies on different platforms. The location feature for Android devices is executed through Google’s location APIs and via Core location framework for iOS devices. Google maps android API is used for navigation on devices while Maopkit is used for navigation on IOS devices. Geolocation feature is crucial for a food app. The best food delivery app lets users track the location of food deliveries through live mapping. Executing push notifications on various platforms needs employing technologies. To enable push notifications for Android, developers use Google Cloud Messaging and Apple Push Notification Service for iOS devices. Executing push notifications on various platforms needs employing technologies. To implement push notifications for Android, developers use Google Cloud Messaging and Apple Push Notification Service for iOS devices. Once a user asks for an on-demand service or ordered goods, they should get information regarding approved or declined requests, receive payment details and get updates concerning the delivery. SMS notifications are equally important just like push notifications. They are quite useful when a user’s phone goes offline. Instacart, a grocery delivery app allows its customers to get in touch with shoppers through SMS-based in-app chats. With SMS notification features, customers can confirm orders and estimated times of delivery and employees can inform their scheduled shifts. When a service is requested, users need to pay for it. You can choose payment methods depending on your target audience. Payment methods are selected depending on the country like if your target market is in the US, you might consider integrating Braintree or stripe, which is used by Lyft, Instacart, and various other on-demand services. Cashless payments are still in use in some countries. You might need to give the option cash payments on delivery. Like uber eats let users pay either by card or cash while Airbnb provides only cashless payment methods. Uber and Airbnb both provide features of splitting payments. If you want to include this feature, it will provide customers much convenience. How do Airbnb and Uber Generate Revenue? One important way to generate money on a platform is by charging a transaction fee for value creation by the platform. Airbnb charges a transaction fee to hosts and guests for every booking. Some platforms charge users for joining the platform. This normally includes either subscription or membership fees. Some platforms charge users for joining the platform in the form of either subscription or membership fees. Charging at the time of launch is not recommended. Dribble does not charge all users but charges companies that are looking for professional on the job board. Some platforms provide premium tools and services. The beauty of charging for enhanced access does not discourage users from the interaction. As anyone can participate. But those who want to use extra handy tools have to pay for them. Linkedin charges users for recruiter membership, which provides recruiters smart suggestions and prioritization for finding, connecting and managing potential employees. Many platforms experience content overload and some users can find difficulty in getting quality content. On medium, users need to pay for a medium membership to access highly ranked articles and their great ideas. On-demand delivery applications are assisting users to make the delivery process easier and efficient. You can get a delivery app that provides true value to your audience. If you want to get delivery applications or interested to know the cost to start an app, feel free to get in touch.